Recently Southwest Airlines was named as one of the Top Ten Most Admired Companies in the World, by Fortune Magazine. With that being said, I believe Southwest Airlines is a great company and I would like to share my recent travel experience with you. 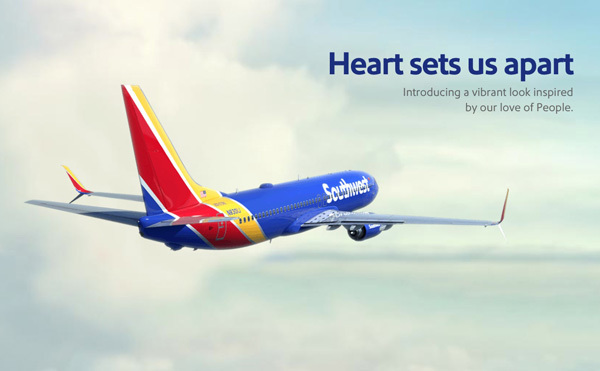 For transparency purposes, SQM does do business with Southwest Airlines and I know people who work for the company. Years ago I started flying with Southwest Airlines because they had a reputation of being a low-cost carrier. Even though they aren’t always considered low cost, these days, I believe that the company still has a great reputation! Today they are known for providing travelers with very good customer service, empathetic employees who genuinely care about their customers and front-line workers who enjoy serving the public. A few weeks ago I experienced Southwest Airlines recipe for success when my daughter and I became stranded at the Orlando International Airport due to bad weather. While we were waiting in line to speak with a Southwest employee, I noticed the staff made it a point to ensure that every customer was taken care of before the employees left the gate area. Considering we were all tired and upset, the employees did a great job ensuring each customer received the time and attention he / she deserved. When I reached the front of the line, the employees made me feel like they cared about my situation and wanted to help. Together, the employees came up with a solution to get myself and my daughter to where the rest of my family was located (Buffalo). In addition to rebooking my flight as early as possible, they went above and beyond the call, to help me find a hotel for the night when they learned I was having difficulty finding one and noticed that my daughter was exhausted and upset. Within a few minutes they provided me with some contact information and I spoke to someone who gave us a very nice room and a special “stranded traveler’s” rate. While there are many times in business where a customer is left feeling like they are just another number, I really felt like the Southwest employees added the personal touch to this difficult situation, making me feel valued and appreciated. For those of you living in Canada, close to the border, I truly believe it is worth a short drive to the US to fly with Southwest Airlines. Southwest is a great company to fly with and I am confident that you will enjoy your travels.